This entry was posted on Wednesday, April 25th, 2012 at 6:55 pm and is filed under history, paranormal. You can follow any responses to this entry through the RSS 2.0 feed. You can leave a response, or trackback from your own site. 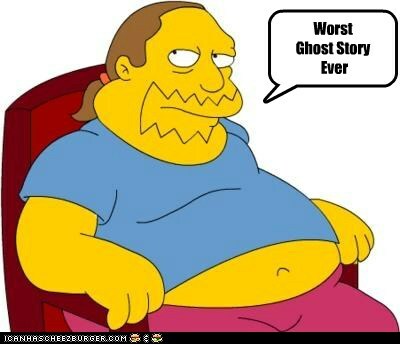 One Response to Are Ghost Stories History? One of the most common characteristics of ghost stories is the origin tale. Basically the origin of the ghost is explained by some story about the person when they were alive. Frequently the story is very romantic, gothic etc. In otherwords it is a too good to be true story. In fact this sort of tendency to create to good to be true stories also goes with non ghostly stories. For example Emperor Jahan of the Mogul dynasty when his favorite wife Mahal died, supposidly was so taken with grief that his hair turned white overnight. This is pure nonsense hair doesn’t turn white overnight. This doesn’t prevent Historians from repeating this nonsense as if it was a fact. THe source of this legend is the simple fact that Emperor Jahan built the Taj Mahal has a tomb for his wife. THe tomb is such a stunningly glorious monument that it has led to all sorts of “trtue love” stories about Emperor Jahan and his wife Mahal. Sadly the story that Jahan when he died he was found at a windoe gazing at the Taj Mahal seems to be just a story despite its appear to the romantic in all of us. On a lighter note it is indeed sad to note that the great Ben Jonson could write a painfully bad piece of verse.